Frequency response to 38Hz, suited for near- or mid-field monitoring. The A77X, due to its outstanding features, might become a true game changer: Equipped with the same advanced technologies as the A7X, it therefore is very similar to the two-way speaker. 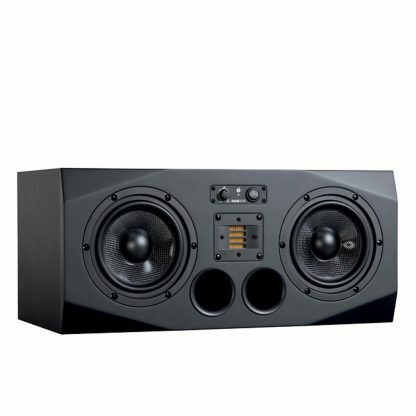 The A77X, however, distinguishes itself by much higher, compression-free maximum sound pressure levels and dynamics. Due to its power and radiation characteristics, it also is perfectly suited for both near- and midfield monitoring. Like all models of the AX series, the A77X features the ADAM proprietary X-ART tweeter. The ˜X™ stands for ˜eXtended frequency response™ and thus for one of the features of the Accelerating Ribbon Technology that has been drastically improved: the frequency response. It now extends all the way up to 50kHz. In addition, the X-ART tweeter has higher efficiency and higher maximum sound pressure levels. 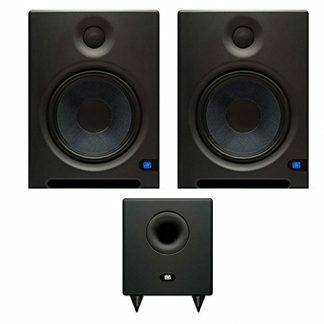 The two 7″ woofers are identical with that of the A7X. 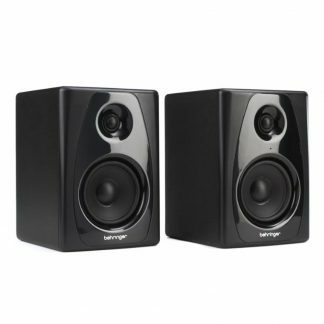 With their large voice coils (1.5) and powerful amplifiers, they are capable of both very high maximum sound pressure levels as well as very deep registers. 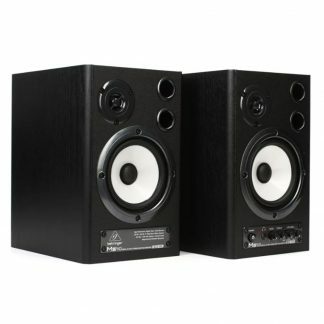 The woofers do not cover the same frequency bands: while both of them are responsible for the (sub-) bass frequencies up to about 400Hz, only one of them reproduces the midrange. This prevents interferences between the two drivers. Each driver has its own dedicated amplifier. A 50W A/B amp is responsible for the X-ART tweeter, while the bass-/midwoofers are driven by a 100W PWM amp each. The front panel includes a power switch and a control for the volume that retains the volume setting independently from the on/off switch. 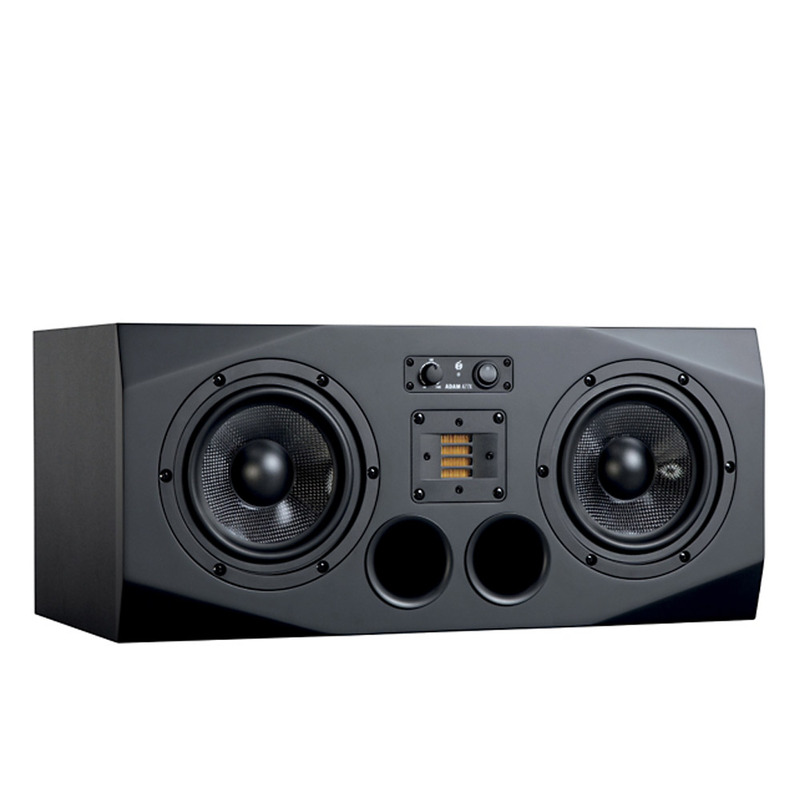 The rear panel features several additional controls: a gain for the high frequencies (± 4dB) and two shelf filters for high and low frequencies. To ensure greater compatibility, there are both XLR (balanced) and RCA (unbalanced) connectors. Hear the full frequencies of your recordings at all volumes. Order today.